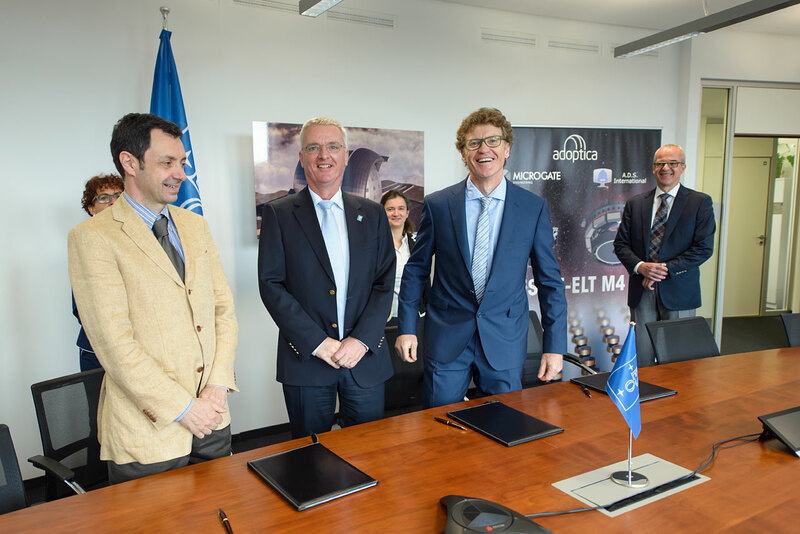 ESO has signed a contract with the AdOptica consortium in Italy — ADS International and Microgate, partnered with INAF (Istituto Nazionale di Astrofisica) as subcontractors — for the final design and construction of the very challenging adaptive unit for the fourth mirror (M4) of the European Extremely Large Telescope (E-ELT). 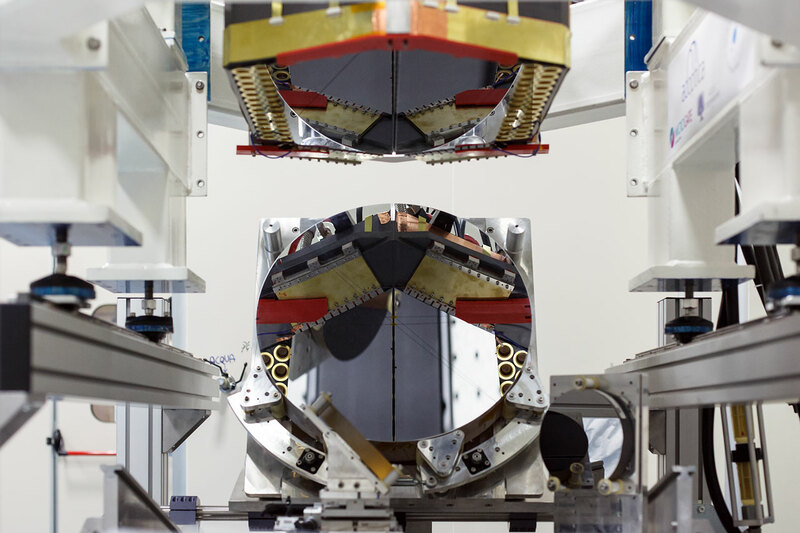 This mirror system will surpass any adaptive mirror ever made for a telescope and be the largest of its kind. 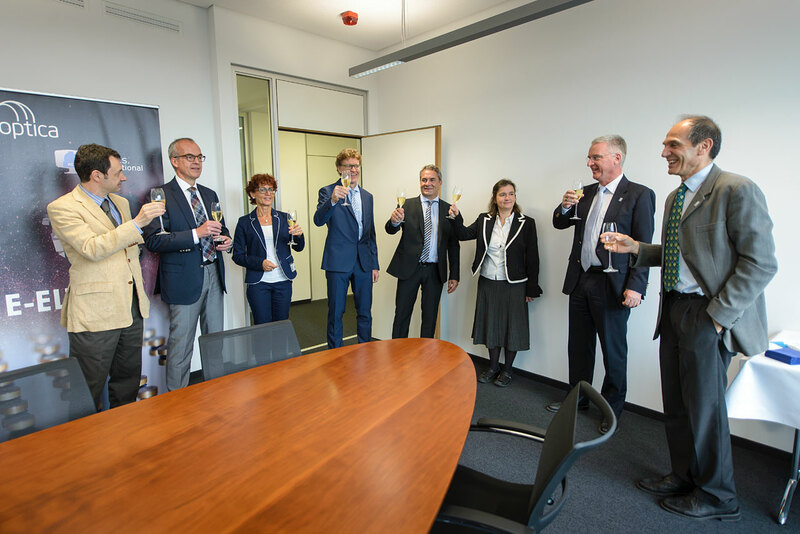 The contract was signed by representatives of AdOptica and ESO at a ceremony at ESO Headquarters on 19 June 2015. 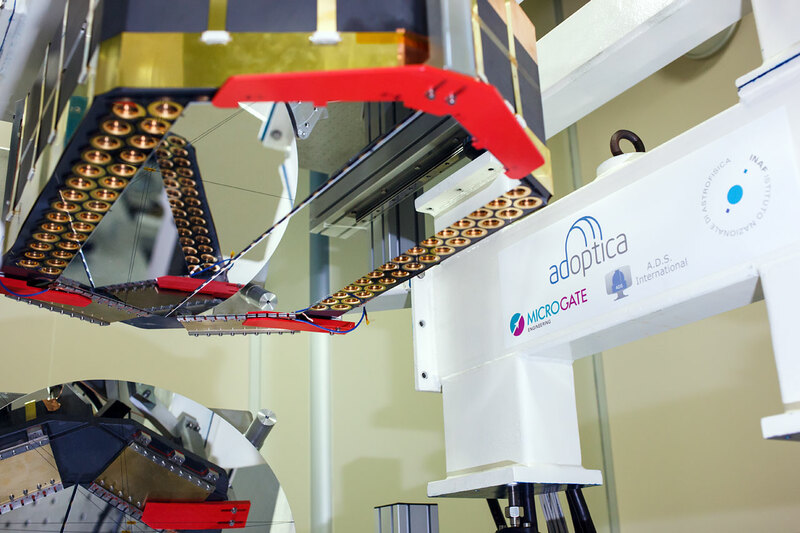 The AdOptica contract does not include the manufacture of the shell mirrors themselves. These will be constructed under a separate contract that will be announced soon. 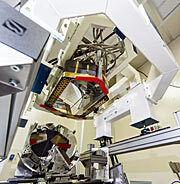 The M4 deformable 2.4-metre mirror system forms a fundamental part of the E-ELT. 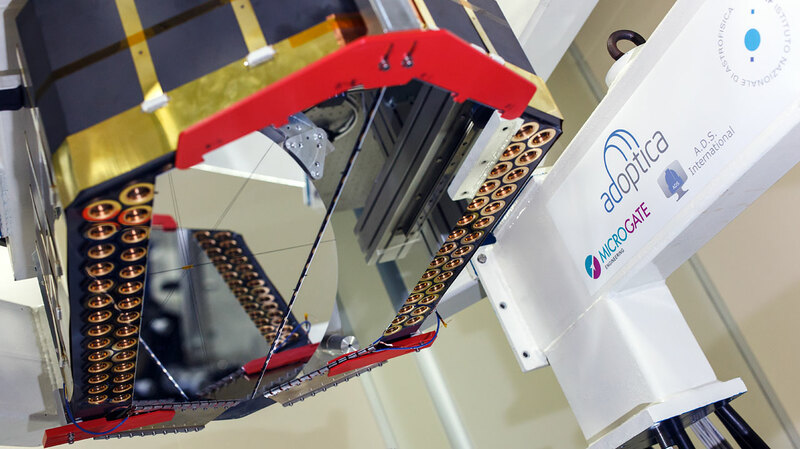 It consists of a mirror made from six component petals, actuators and control systems that can correct the image distortion caused by the turbulence of the Earth’s atmosphere in real time, as well as correct for deformations of the structure of the main telescope caused by wind. The corrected optical system will make the images obtained at the telescope almost as sharp as those taken in space . 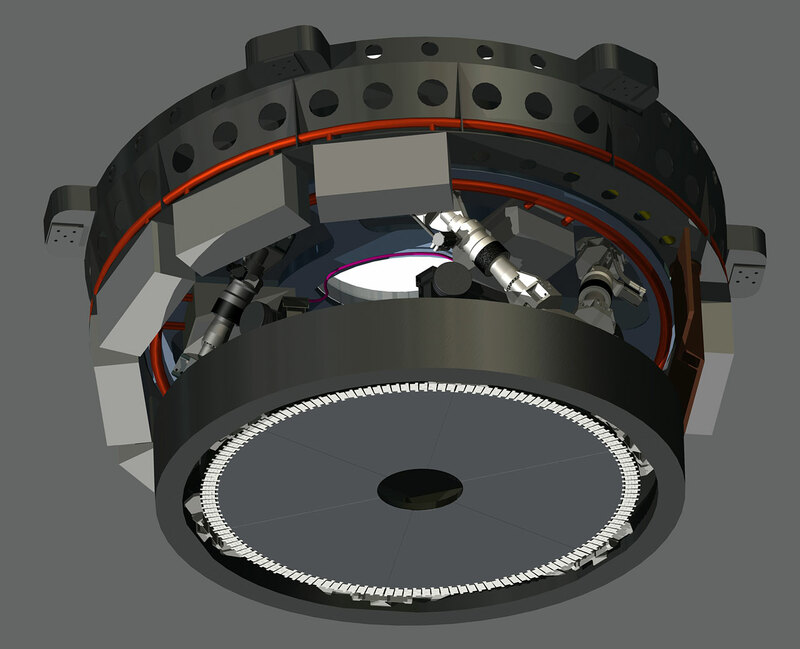 Construction of a mirror system like this has never been attempted before and studies began in 2008 with two competitive contracts for a preliminary design for the E-ELT. In 2012, AdOptica was selected from two competitive designs. 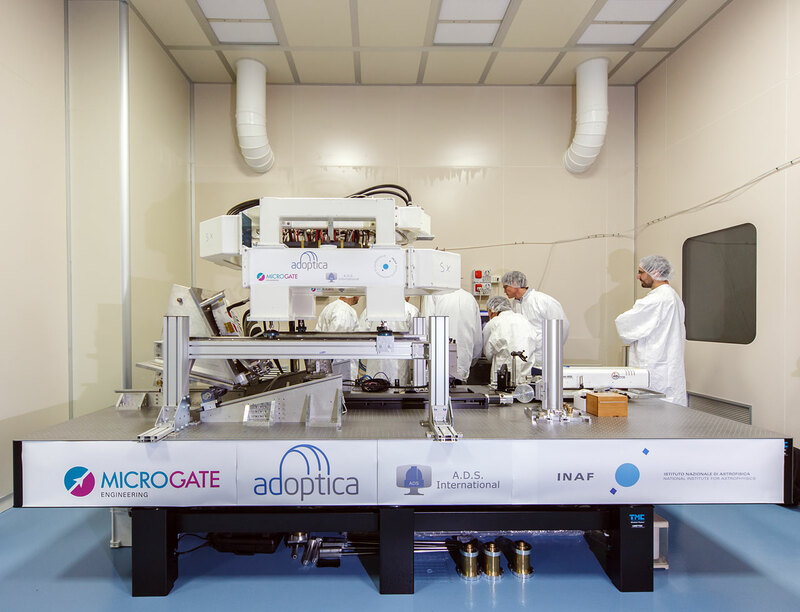 Since 2012, AdOptica has developed the preliminary design for the unit. The design has evolved significantly to fulfil stability requirements. The preliminary design review was successfully passed in April 2015 and the company has demonstrated the design with a one-metre mirror demonstration prototype that fulfils ESO’s performance requirements. The new contract will be for the final design and manufacturing of the M4 unit. The planning calls for the final design to be completed by mid-2017, and then the unit will be manufactured and tested in Europe against the performance requirements before being shipped to Chile by the end of 2022. The mirror’s shape is controlled by approximately 5700 actuators. A hexapod allows tip/tilt and large lateral movements.